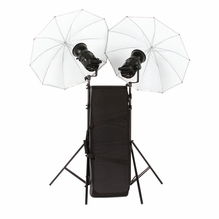 If you're looking for one of the world's most trusted makers of professional flash lighting, trust Bowens. 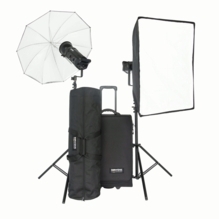 This manufacturer supplies photographers, videographers and DPs with the reliable flash kits and accessories required to achieve the perfect environment for their unique shoot. 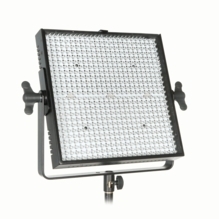 Our selection of Bowen lighting includes pro flash kits, tungsten light kits, panels and more made with durable, long-lasting materials. 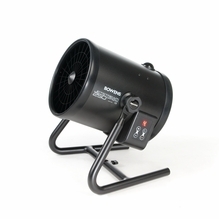 Bowens also makes high-quality wind machines which allow you to target your subject with variable airflow that suits your specific needs. 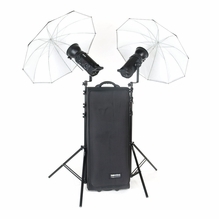 Bowens lighting kits are ultra-versatile on-set or on-location light kits that contain everything you need for correct lighting in any environment. 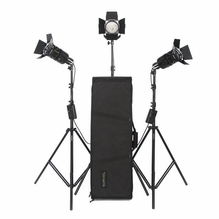 They come with a flash, umbrellas, reflectors, power cables, modeling lamps, light stands and other essential accessories for all-inclusive light control. If you have any specific questions or would like personalized advice on which Bowens products to purchase, you can always reach out to our team at 1-888-276-3667 or info@barndoorlighting.com.